In recent times, the media has put a very negative spin on anesthesia. The movie, “Awake”, and the death of Michael Jackson have raised many questions for patients. As I explain the anesthetic plan for the surgery, I reassure them that they are going to wake up. I proceed to tell them that Michael Jackson was given propofol, also known to many patients as the “white medication” or “milk,” by a cardiologist who was using the medication for an unapproved use and not an anesthesiologist. Propofol is a sedative, hypnotic agent that is administered intravenously to patients in a surgical or ICU arena, and should only be given in a controlled and monitored setting. I also address their fears of intraoperative awareness, which was seen in “Awake”, by explaining that all their vitals signs are monitored along with their depth of anesthesia for the full duration of the surgical case. I have always found it interesting that anesthesia is one of the few specialties of medicine, that the patient spends the least amount of time talking to the physician, awake and fully coherent, but is expected to trust this individual with their lives in a short time span. He or she speaks to the doctor who is going to put them asleep for maybe 10-15 minutes, tells them their medical history, answers a string of repeat questions, gets a focused physical exam, signs away a bunch of papers, and gets whisked away to surgery. Then, they wake up a little dazed in the recovery room, wondering “did we just start or is it all over?” I am fully aware that this can be daunting for anyone! I hope more patients understand that anesthesiologists see so many scared patients every day with valid fears. Patients are not alone in their concerns, so please ask any questions you have. Every anesthesiologist would rather have alleviated your worries and answered all questions, than have you terribly afraid. A smiling patient can go a long way in the eyes of a doctor. 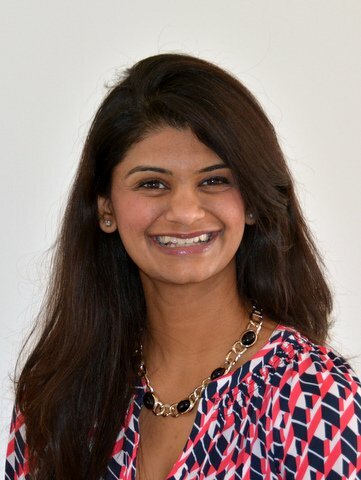 Dr. Avani Trivedi received her bachelor’s degree in biology from the University of the Sciences in Philadelphia. She obtained her medical degree from the University of Medicine and Dentistry of New Jersey SOM, which is now known as Rowan University, and completed her anesthesia residency at Nassau University Medical Center in Long Island, NY. She is a board certified anesthesiologist practicing for Princeton Anesthesia Services in Plainsboro, NJ.